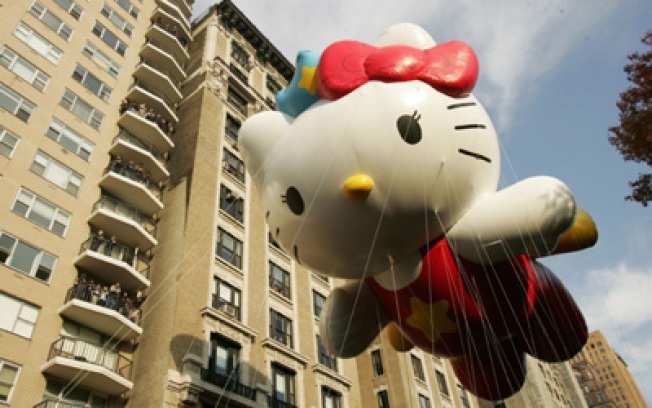 Supercute Hello Kitty (along with the rest of the balloons) will get the blow-up treatment today in preparation for the 82nd annual Macy's Thanksgiving Day Parade. 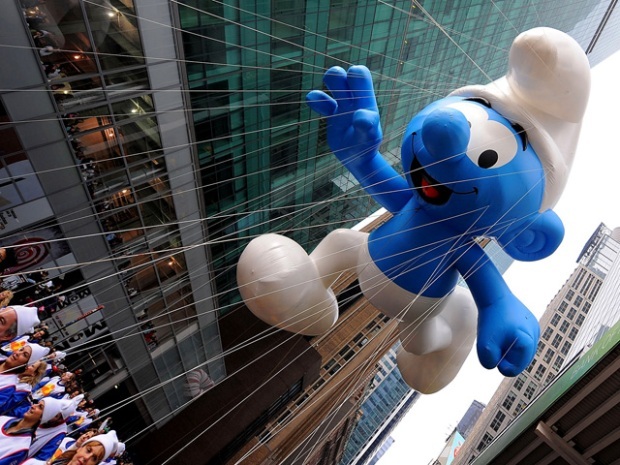 It comes around but once a year, and it's hands-down our favorite holiday in New York. No, not Thanksgiving -- Balloon Inflation Day! That magical Parade Eve tradition that involves Macy's techs cordoning off a patch of park uptown and giving life -- giant, machine-powered, helium-buoyed life -- to Underdog, Supercute Hello Kitty, Ronald McDonald et al., which this year includes newbies like Smurf, Horton (of "Hears a Who" fame), and -- wait, are we reading this right? -- a "balloonicle" of Keith Haring's Figure with Heart. It all goes down today from 3 to 10PM, along 77th Street and 81st Street between Central Park West and Columbus Avenue (around the American of Natural History). If past Inflation Days are any indication, it'll be a complete madhouse up there. Anything can happen! Ambulances will be standing by, in case a novelty inflatable goes rogue like Palin at a press mixer! 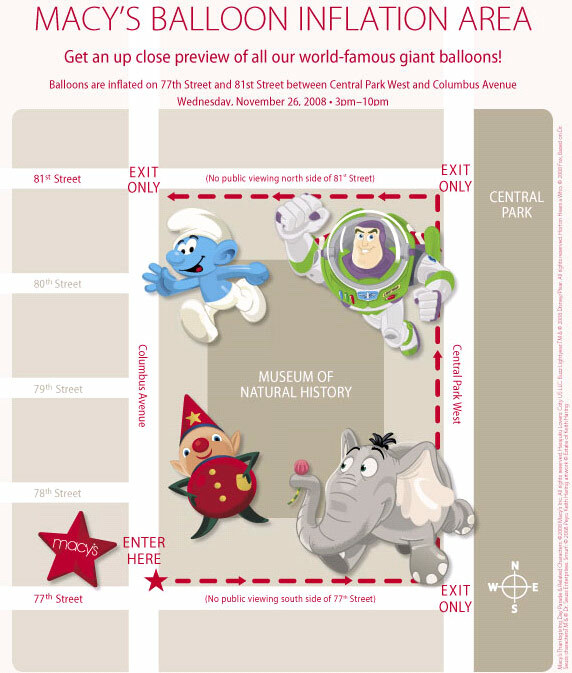 In an effort to cover their asses in case of disaster keep the chaos to a minimum, the good folks at Macy's have issued this official balloon inflating area map, which we spied over at Gothamist. Follow the arrows, kiddies!